"In the 3 years we have been engaged with NIH Research, they have been continually updating, refining and augmenting our internal database of prospects. NIH Research has been instrumental in infusing 3.6 million dollars into our sales pipeline and have become an integral part of our sales and marketing strategy." Our range of contact experience includes hospitals, IDNs, group practices, pharmaceutical organizations, laboratories and more which means we understand the subtle differences in healthcare research that other companies typically miss. And, we appreciate that every group – physicians, chief executives, practice administrators, lab directors and others – each have a certain expectation for sales and marketing communications. The professionals at NIHR know exactly how to reach them all. And that’s just the beginning of our scope of services. Once we’ve assembled leads for you, we can help you track them, use them, and much more. At NIH Research we appreciate that gathering leads is only one important aspect of harvesting important revenue opportunities. 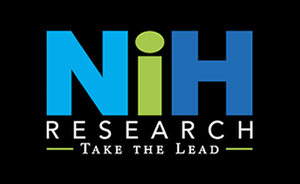 That’s why NIH Research also offers a comprehensive set of services to work with your team to maximize your sales opportunities and realize a greater return on your company’s investment of time and money into your market prospecting campaigns. Your assigned NIH Research Project Manager assumes an intricate role inclusive of on-going communication and consultation with you, your dedicated NIH Research Consultants and your sales team. This personalized communication between you and your assigned NIH Research Project Manager ensures that the information that NIH Research provides to you is being both utilized internally in an efficient manner as well as being distributed where it needs to be when it needs to be there. At project inception, your IT team assigns the NIH Research Consultants a dedicated seat on your email server. Emails sent are branded to YOUR company name. The NIH Research Consultant includes a personalized note to your prospect while identifying themselves as a representative from your marketing department. After collateral is sent electronically, the NIH Research Consultant immediately schedules the follow up call in accordance with the direction given by the prospect. No one slips through the cracks! Once the NIH Research Consultant “touches” your client post-fulfillment, they will collect additional feedback in response to the information reviewed and pass that information on to you. If an email address proves to be incorrect or not in working order, we will call back in to the prospect to confirm the information and hence, provide you with the most accurate and up to date information about your prospect’s contact data. NIH research works closely within your CRM system (www.salesforce.com, Sugar, etc.) once provided a seat and adequate permissions. This ensures no opportunity or task goes unnoticed. Trade Shows: Avoid empty booth. User Group Event: We recruit and conduct real time registration.